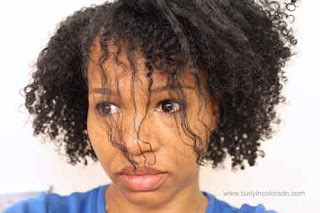 When I first started doing research on how to grow my hair long and healthy, I learned about the importance of deep conditioning. 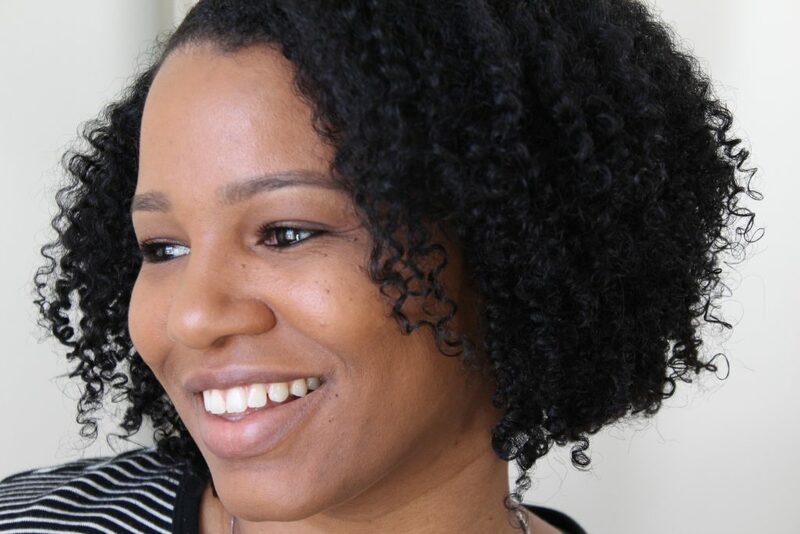 At the time, I wasn’t even sure if I was going natural or not but I knew that I could add deep treatments to my hair routine right away. For my first time, I simply mixed a cheap conditioner with some extra virgin olive oil that I had in my kitchen cupboard. It was very basic but effective. 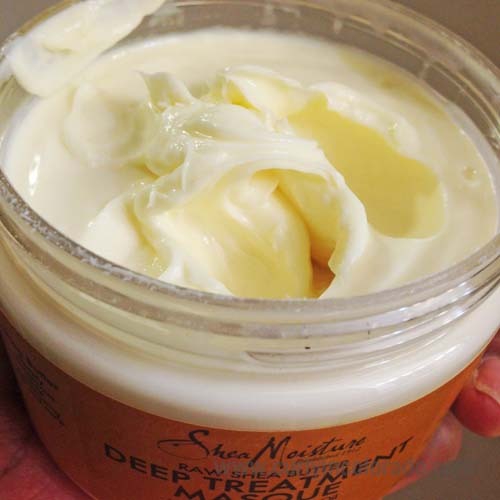 Now, over six years later, I’m still doing deep treatments on my hair to help maintain my tresses. It is an essential part of my natural haircare routine. Recently I reached for this product before and after applying direct heat to straighten my hair. Normally, I would use my Aphogee Keratin 2 Minute Reconstructor for a light protein boost before and after heat use. I believe that this product definitely worked in a similar way. My curls appear to be just as a healthy now as they did before I straightened my hair. The shea butter in this product tends to stay on the hair after rinsing so I used it a couple days before flat ironing. Then, I cleansed my hair with a clarifying shampoo followed by a moisturizing deep treatment just before straightening. This way my straight hair felt lightweight without any heavy buildup. I wore my hair straight for about ten days and clarified again to remove the silicone from my heat protectants and oils. 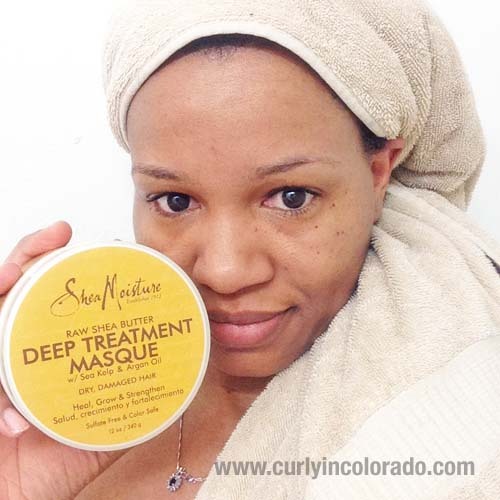 Then I used the deep treatment masque again to bring my curls back. This worked like a charm in that regard. I always, always, always use my Tresemme Naturals Conditioner (the aloe one) for a quick pop of mositure after using a strengthening treatment such as this. It gives my hair the softness and manageability I need to detangle and style my hair afterwards. Should I Go Back to Using Henna On My Natural Hair? My hair straightened and dyed with henna and indigo. For five years I was a faithful henna user. I had a pretty good routine down so it wasn’t a daunting task for me. That was until I started doing the two step Henna and Indigo treatments to cover my gray strands. It worked like a charm but the process seemed to take ages each time I did it. That is why I decided to start using an ammonia free box color. Switching back to an easy option for hair color was almost a no brainer. I wasn’t using something overly harsh and drying so it didn’t seem to make a big difference. It still doesn’t but now I’m beginning to wonder if my hair was stronger when I used henna. My original intention for using henna was for the conditioning benefits. At the time I was having scalp issues and also wanted the added strength. When I think back on how my hair felt when I was using it, I remember it being a lot thicker. Many assume henna for hair is a protein treatment. Technically it is not. It is a plant based powder with an active ingredient called lawsone. 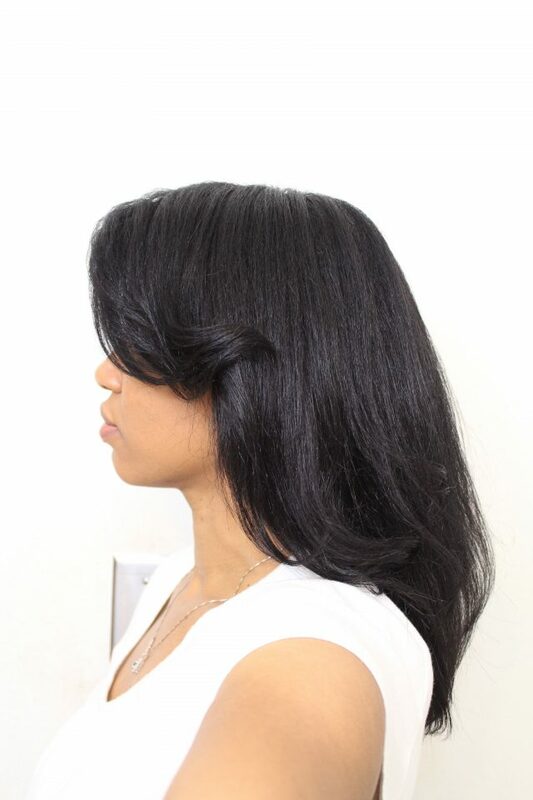 This attaches permanently to the hair making it feel stronger and thicker. 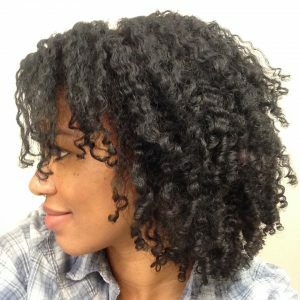 With multiple uses some have even noticed a changed in curl pattern. Lawsone is also what gives the hair a shiny reddish tint. I really never liked the red color but it wasn’t that obvious at first. At one point though my hair was burgundy which sent me on a search for indigo powder. 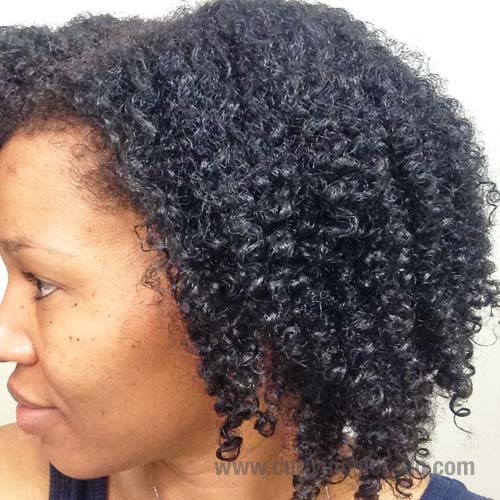 With the two step henna/indigo process you get black hair as a result. Thing is, you have to use both treatments separately in one night in order for this to work. We’re talking seven hours of applying, waiting, rinsing and conditioning. Not to mention the cleanup! No thank you. That brings me to where I am today. I keep thinking to myself that maybe it is time to get back onto the henna bandwagon. I remember reading a suggestion for using henna after hair color over at hennaforhair.com. It was said to help repair the hair after using chemicals. My plan is to use the box color for root coverage and then follow up a few weeks later with henna. I also want to add conditioners to my henna like coconut and olive oil. These are things I avoided before because they slow the color process down. The conditioning type of henna treatment is often called a henna gloss. Hopefully I’ll see thicker, stronger hair over the next few months. Keep watching the blog for upcoming posts on my new, less complicated, henna journey.